For years, I resisted putting a single personal photo anywhere on the web. I’m not sure why, really. A year or so ago, a colleague mentioned that there was no photo of me on my website but there was a photo of a beefy man arm…wasn’t I worried that people might think that was me? That made me laugh for a while. Yah, everybody! That’s why I haven’t joined Facebook. I’m hiding my beefy, hairy man arms. So, just to quelch any rumors that may have arisen from my infrequently visited former website: I do not have beefy, hairy man arms. And to tie this into something of substance (or more accurately, shameless self promotion), the photo in question was posted initially to showcase the Aardvark Letterpress Loteria prints from 2008. That’s my design, below/left, cradled by the beefy man arms of my very most favorite printers (and most favorite people), Aardvark Letterpress. 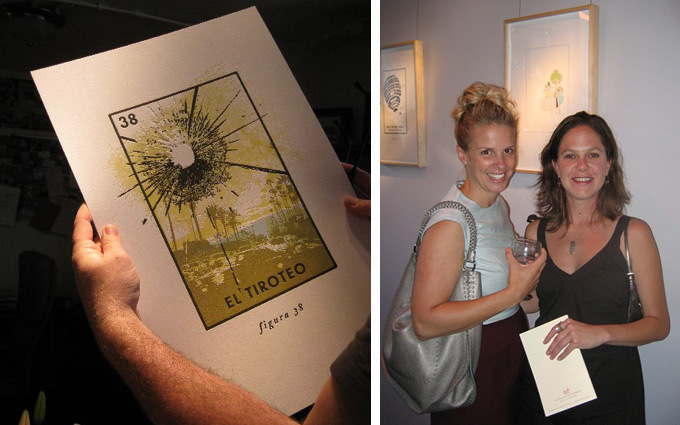 On the right side of the right-hand photo is me at the show opening, next to my client and fellow Loteria artist, Karen Kimmel. 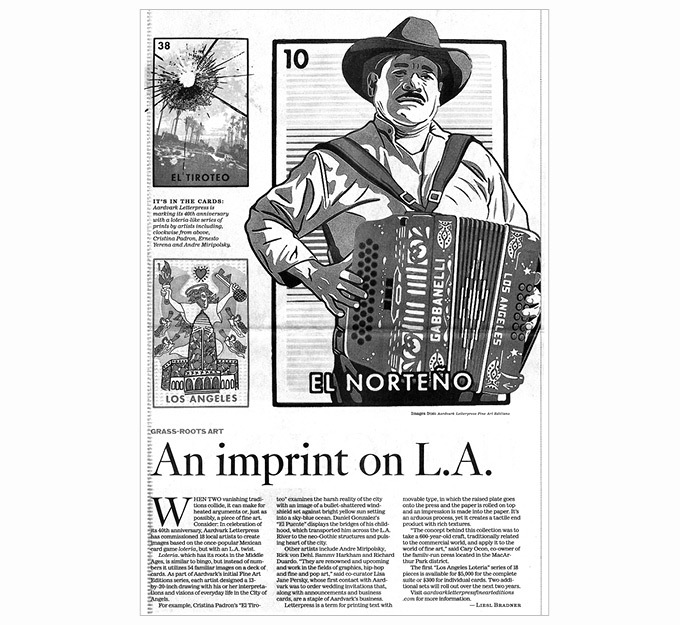 Oh and lookee here, a little kudos from the Los Angeles Times. 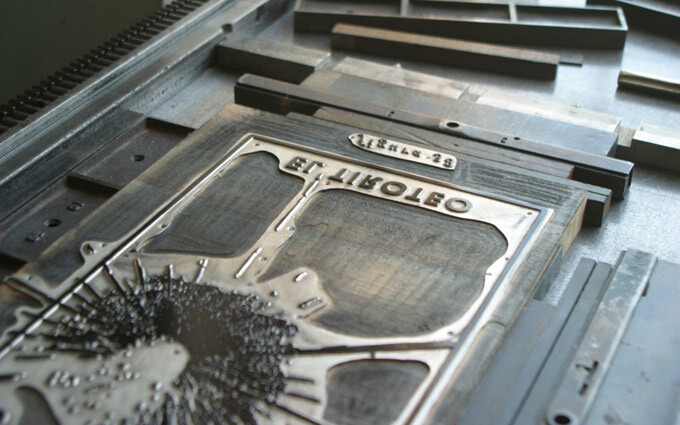 And just for fun: here’s the press plates, which somehow always end up looking cooler than the finished artwork.